THE VIDEO IS NOW LIVE AT OUR FDIC 2018 PAGE! Maintainer Custom Bodies (MCB) is expanding its presence at the upcoming FDIC International conference and exhibition! 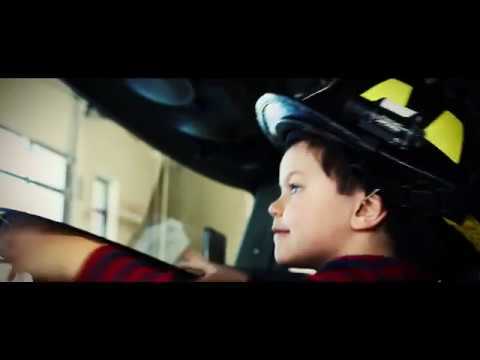 In addition to sending two unique emergency vehicles to Indianapolis, MCB has partnered with a country singer to create a new country music video that honors firefighters. John Rig gins wrote and performed the single “Big Red Truck (A Firefighters Life).” Riggins will be performing live at various times in the MCB booth. Visitors to the booth can receive a card that allows them to download the single for free to play on their favorite device. MCB, with the help of Miami Township (OH) Fire & EMS, created and produced a music video to accompany the single. The Worldwide Premiere of that country music video will air on Thursday, March 22 at 10 a.m. Central. The video will appear on MCB’s YouTube Channel as well as its FDIC page: FDIC 2018. In conjunction with the FDIC festivities, MCB will make a $1000 donation to the National Fallen Firefighters Foundation. One of the trucks MCB plans to exhibit is a 15’ walk-around rescue body on a Ford F550 4x4 chassis. The rescue will als o feature MCB’s Scene Commander, which upfits a new Maintainer EH Crane with remote controlled Spot/Flood Lights and optional camera on the end of the boom. MCB will also show off its redesigned Quick Attack vehicle. The unit has a 10’ body on a Ram 5500 crew cab 4x4 chassis. The vehicle features a CET firefighting system in the bed. MCB invites you to see the Scene Commander, Quick Attack, and MEET JOHN RIGGINS at FDIC Booth# 4348 in the Indiana Convention Center April 26-28, 2018. More details and John Riggins performance times will be available online at https://mcbfire.com/FDIC2018.